The Academia Europaea 29th Annual Conference 2017 takes place from September 3 – 6, 2017 in the Hungarian Academy of Sciences, Budapest. During this meeting on September 4, 2017, Zimmermann has been confirmed as Section Chair of “Economics, Business and Management Sciences” by the AE Council for another period of three years until the end of 2020. See also a related note on GLO Fellow Andreu Mas-Colell. 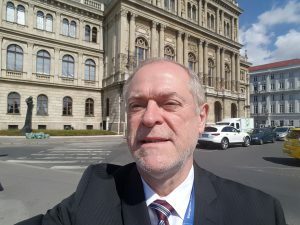 The Academia Europaea (AE) is The Academy of Europe, Klaus F. Zimmermann (UNU-MERIT Maastricht, Bonn University, and Rockefeller Foundation Policy Fellow) is the President of the Global Labor Organization (GLO) and Section Chair of “Economics, Business and Management Sciences” of the AE.